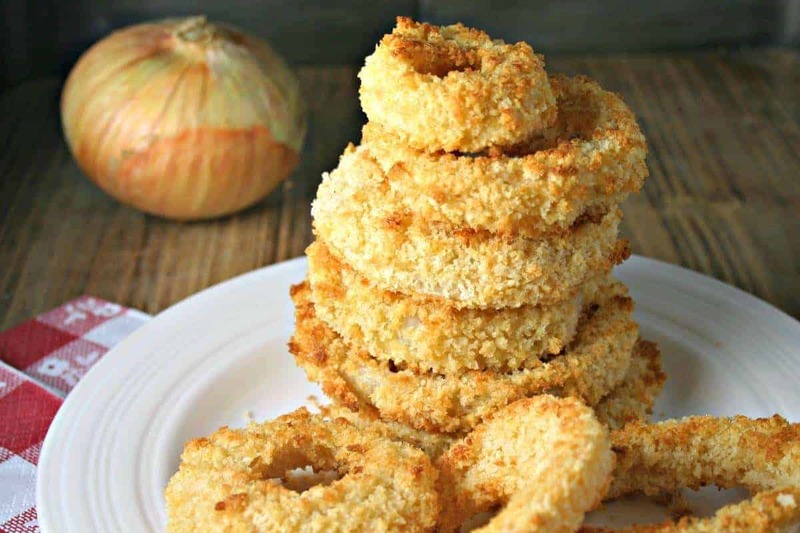 Healthier onion rings that are tender on the inside and nicely crisp on the outside without frying! 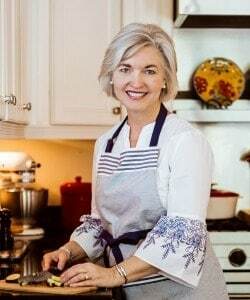 If you’re planning on driving through Georgia this summer, how about stopping at one of those roadside markets for me and picking up a big sack of Vidalia onions?! Vidalia onions have a distinct sweet flavor because of the sulfur content in the soil in Vidalia, Georgia, where they are grown. They are not sharp like a white or red onion can be, and no tears are involved when slicing them, either! 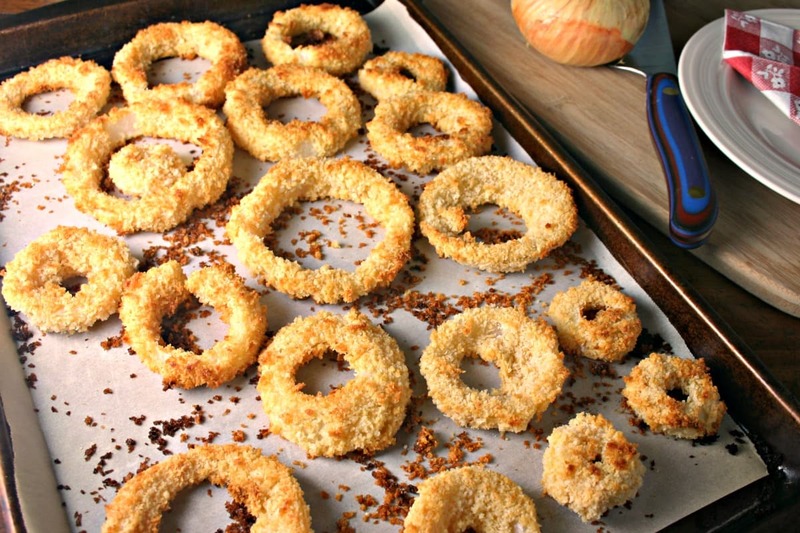 That makes these deliciously sweet onions perfect for making Crispy Oven Baked Onion Rings. 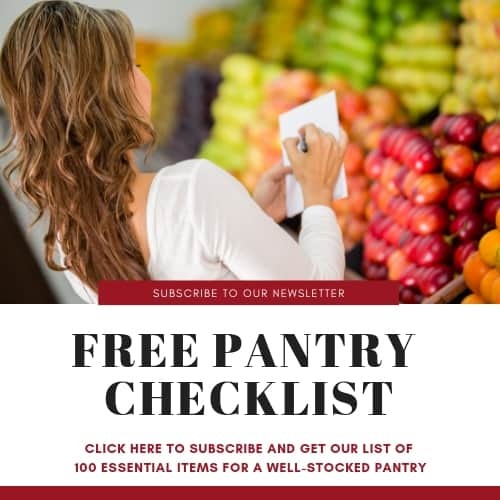 I obviously like this recipe because it is healthier than frying, but also because you don’t have the challenge of cleaning up or storing the leftover oil from the fryer. 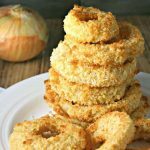 Even so, making these oven baked onion rings is not completely mess-free — especially if you are as clumsy as I am in the kitchen! To prepare the onions for baking, first peel and slice them into one-quarter-inch slices and separate them into rings. (I had my set up going right-to-left when I made these, so you’d think I was dyslexic!) To bread the onions, dredge them first in the seasoned flour, then dip in the buttermilk egg mixture (shaking off the excess), and lastly dredge in a mixture of panko breadcrumbs, salt, and olive oil. 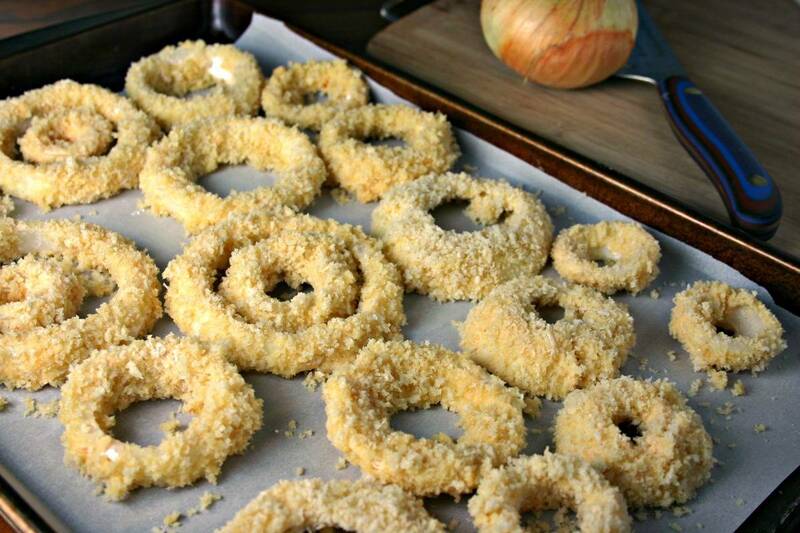 Lay the rings onto parchment-paper lined baking sheets — no need to oil the pan since the oil is in the panko mixture. To save space, you can place smaller rings inside larger rings. These bake for about 20 minutes at 450 degrees, or until golden brown. For even crisping and browning, flip the rings over about midway through baking. If you have leftovers, these heat up nicely. Just place them on a baking sheet in a 400-degree oven for about 10-12 minutes. 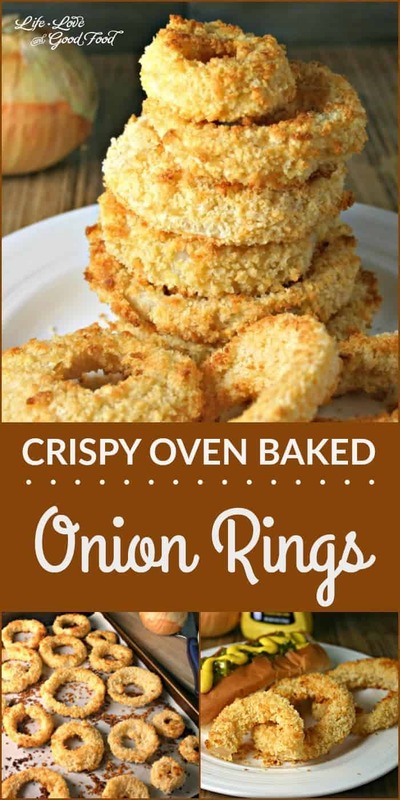 I could make a meal on just these onion rings — they are so tender inside and are nicely crisp on the outside. They make a great side for grilled hotdogs or burgers and would be a terrific appetizer as well. Serve them with ketchup or your favorite dipping sauce. Enjoy, friends! Preheat the oven to 450 degrees. Line 2 baking sheets with parchment paper; set aside. Peel and slice onions into 1/4-inch slices and separate into rings; set aside. In the first bowl, combine the flour, paprika and 2 teaspoons salt. 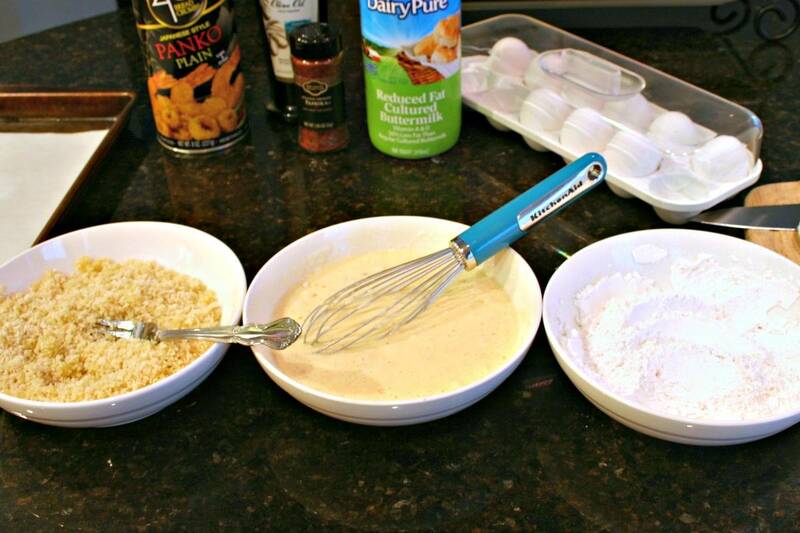 In the second bowl, whisk together the buttermilk and eggs. Now add half of the flour mixture from the first bowl and whisk until smooth. In the third bowl, mix together the panko breadcrumbs, olive oil, and 2 teaspoons salt. Dredge the onion rings in the flour mixture first, then dip into the buttermilk batter, coating all sides. Gently shake off the excess batter, then dredge in the panko mixture being sure to coat well. 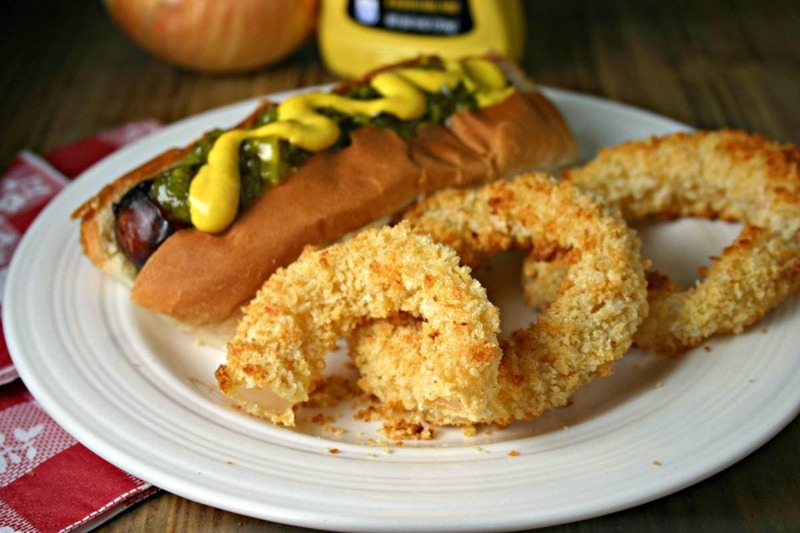 Place the breaded onion rings on the baking sheets in a single layer. Bake 20 minutes, or until golden brown, flipping halfway through the cooking time for even crisping and browning. Original recipe by Food Network. Can I replace the buttermilk with soymilk for dairy free option? Thanks!